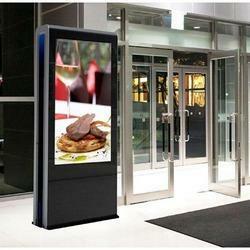 Pioneers in the industry, we offer outdoor displays from India. We are among the reputed organizations engaged in manufacturing, supplying, trading and exporting Outdoor Displays. To fulfill the demands and needs of customers, all the offered displays are provided in various models and designs at most competitive prices. In addition to this, all our products can be customized as per the demands and specifications provided by customers. Looking for Outdoor Displays ?